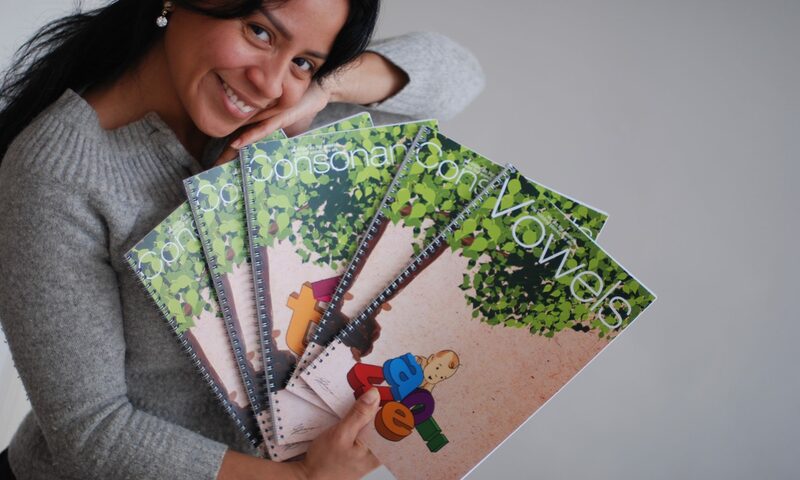 A cheerful, multilingual collection of on- and offline books and games to explore the alphabet through seeing, hearing, associating and trying. At the moment all materials are issued in English, Spanish and Dutch, and can be approached separately or across languages. The main set of six books introduces characters roughly grouped to age ranges in which specific sounds are best apprehended by a toddler’s brain. Every character is illustrated with illustrations, depicting creatures or objects starting with that character, a fixed number in print and an ever expanding number online. Audio samples of characters and words can be accessed from the context of both platforms. 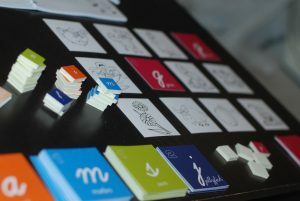 A set of cards, combining cartoons on one side and related word and character on the other, forms the basis for a range of games, like Memory and Scrabble. Group interaction and competition transform the learning process into a playful activity. The cards are color linked to the character groups of the books, making it possible to match the game to book progress.